Historically, cherry, apple, plum and pear wood were favorites of cabinet makers. In addition to being durable and having beautiful grain patterns, these woods were revered for their warm and comforting colors. Also, because the milled wood is from a fruit tree it was referred to as "fruitwood." Over time, apple, plum and pear woods have been largely phased out in the cabinet world, although the warm fruitwood colors they were known for continue to be desirable to homeowners. 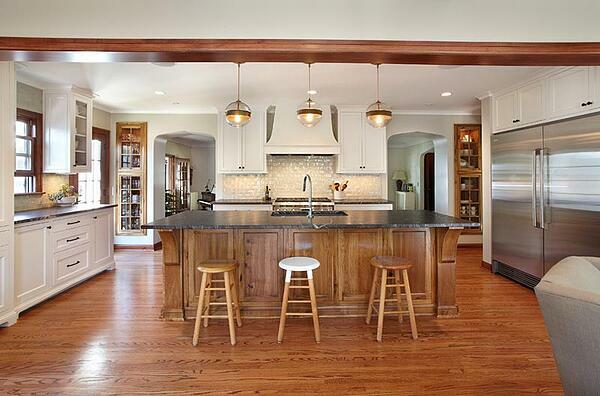 Is Fruitwood Cabinetry Still Popular? 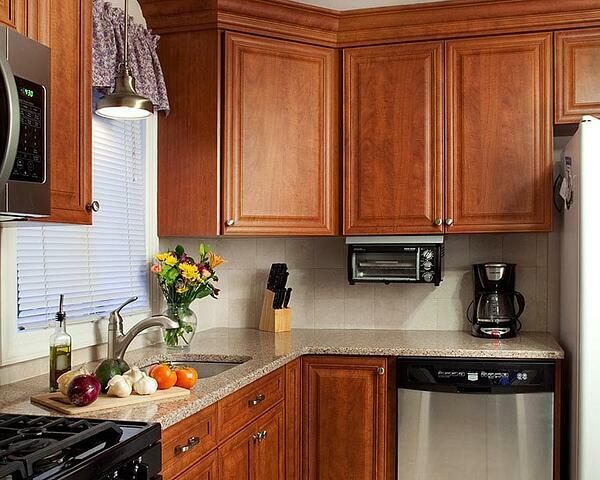 Many cabinets boast fruitwood stains, or fruitwood colors, even if the wood underneath was never part of a fruit tree. 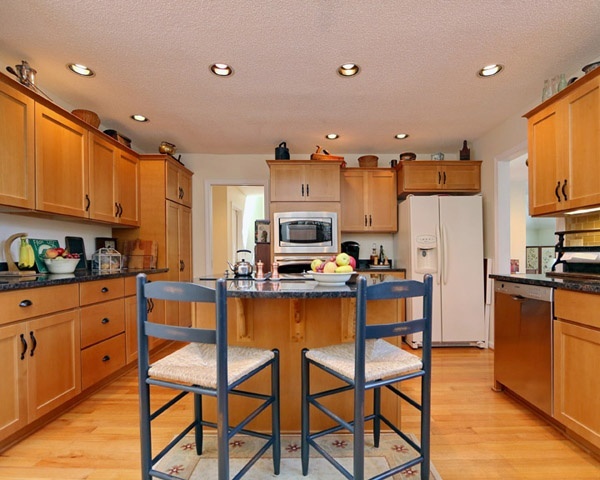 While the term "fruitwood" can be used to describe the wood cabinets are made from, today's contemporary kitchens are most likely to boast fruitwood stains unless they've opted for cabinets made from cherry wood. It's important to note that the term "fruitwood color" or even a fruitwood stain doesn't refer to a specific shade. Fruitwood stains vary in their color range, from lighter and golden to reds and browns, and they can be applied to wood in varying degrees—from light to dark. 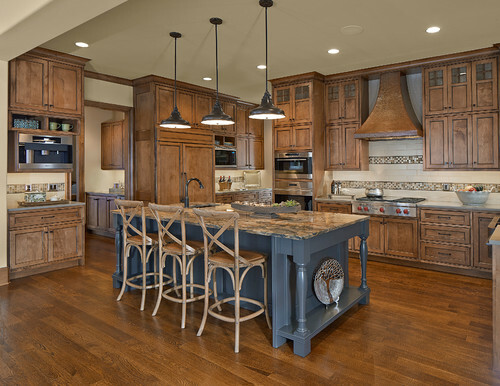 For example, fruitwood finish options would include descriptors such as light honey-gold (like the island in the kitchen above), cherry pear, light cherry and deep reddish brown and mahogany. If the idea of warm, fruitwood finished cabinets appeal to you, your kitchen designer will work with you to determine which wood will be best underneath, and which shade of fruitwood finish makes the most sense for your desired aesthetic. The wood that the stain is applied to also has a marked effect on the aesthetic outcome; if you apply a fruitwood stain on maple, for instance, the results will be lighter in effect than they would if you applied it to a darker cherry sample or opted for a fruitwood stain on knotty alder. Since the pores of the wood grains absorb the stain, darker grains will appear darker—even with the addition of a lighter stain—than lighter grains would. How Do Fruitwood Stains Compare with Cherry? Sometimes customers who've heard of fruitwood stains ask if it's better than cherry, but that depends on what your idea of a cherry cabinet is. Usually, it refers to cabinets made from cherry wood and/or cabinets of any wood that boast a rich, darker and warm cherry stain. However, because fruitwood stains can be mixed from dark to light, your kitchen designer is more apt to show you a variety of wood cabinet and laminate door finishes to get a better idea of where your shade and hue preferences align and then work to find the best finish for your tastes. One of the best things about fruitwood stains is their versatility. 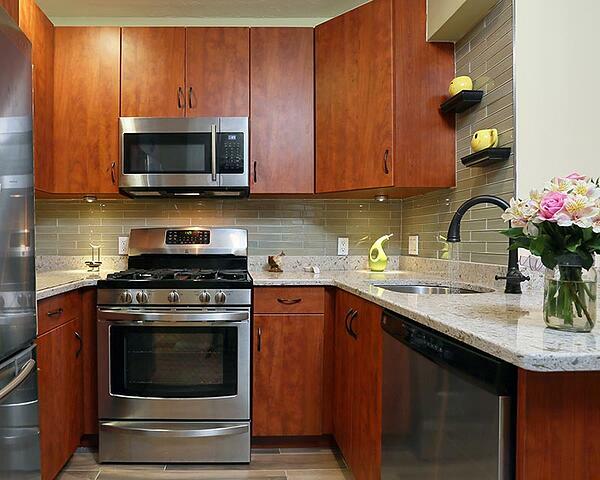 You can use both darker and lighter accents elsewhere in your kitchen while still complementing the cabinet stain. 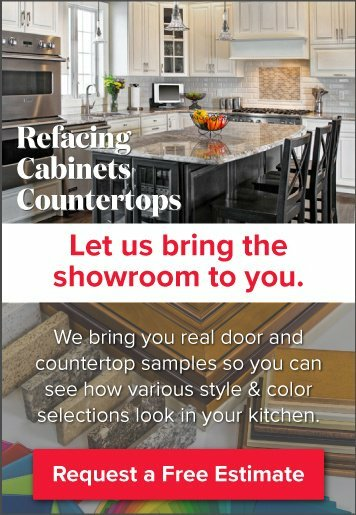 Interested in learning more about fruitwood stain, cherry cabinets, and the possibilities for your kitchen? 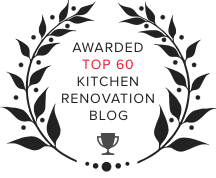 Schedule a free in-home consultation with a Kitchen Magic designer, you'll get expert advice on what will work best for the heart of your home.